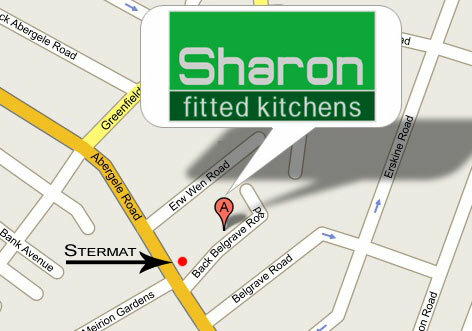 Sharon Kitchens is located on Back Belgrave Road just off Abergele Road in Colwyn Bay. If you are heading down Abergele Road towards Eirias Park look on the left for Stermat. The first road on the left is Back Belgrave Road (see map below). 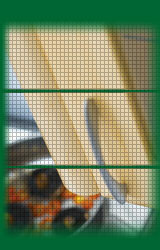 Sharon Kitchens is the pebble dashed building with the green shutter doors. If you have any questions before you come visit us you can call us on 01492 530801. Click Here to see a larger version of this map at Google Maps.